Windows Installer 3.1 is an application installation and configuration service for Windows operating systems including Windows 2000 with SP3 or later, Windows XP, Windows XP SP1, SP2 and Windows Server 2003 Service Pack 1. Installers are components that facilitate installation of software in operating systems. Microsoft does provide its own installer for various versions of Windows operating systems. 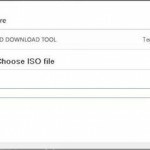 Developers creating software for Windows OS can make of this default windows installer to make it easy for their users to install and uninstall the software on computers running Windows OS. While version 5.0 is meant for Windows 7, Microsoft has also released version 4.0 for Windows Vista. Version 3.1 of windows installer is for windows XP, windows Server 2003 and Windows 2000. Windows Installer 3.1 is required to download and install Microsoft .NET Framework 4 Beta 1 in Windows XP. To download and install Windows Installer 3.1, go here and scroll down to download Windows Installer KB893803-v2-x86.exe, the executable for Windows Installer 3.1. Click on the download link and click “Run” to immediately install it on the computer. You may click “Save” to save the download to your computer if you decide to install it at a later time if it is meant for installation on another computer. Free Download Windows Installer 3.1, an essential installer for Windows based applications in Windows XP.